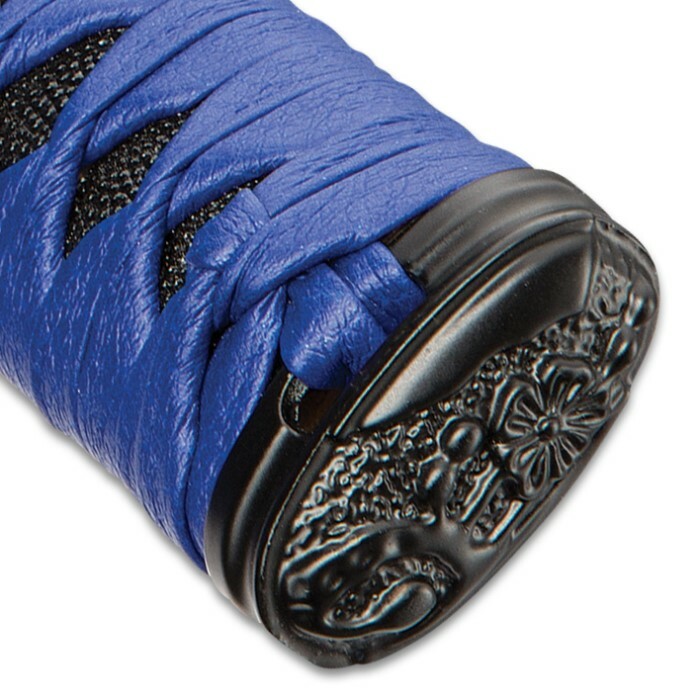 The black rayskin-shrouded tsuka is delicately wrapped in handsome blue genuine leather, yielding a comfortable, no-slip grip – especially important given the deadly edge on this artisan masterwork. 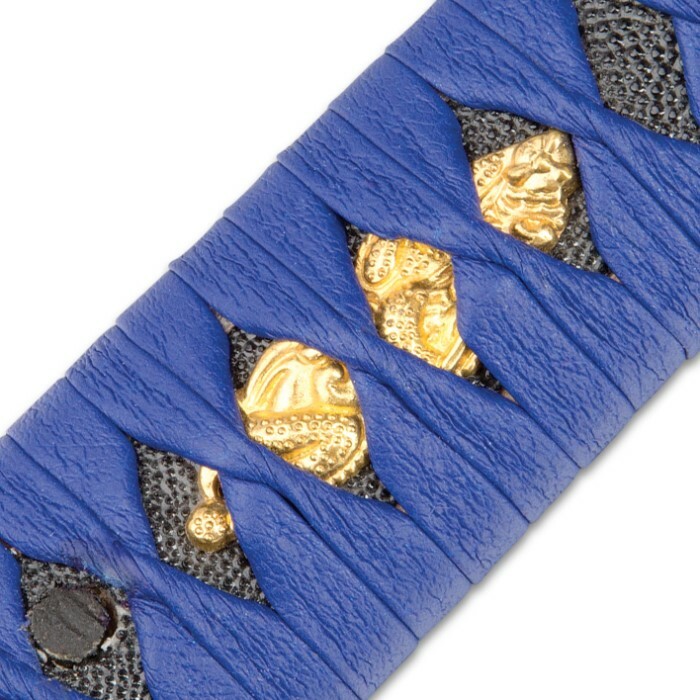 A floral relief design adorns the kashira and fuchi, offset with a small but brilliant golden dragon ornament nestled under the leather ito. 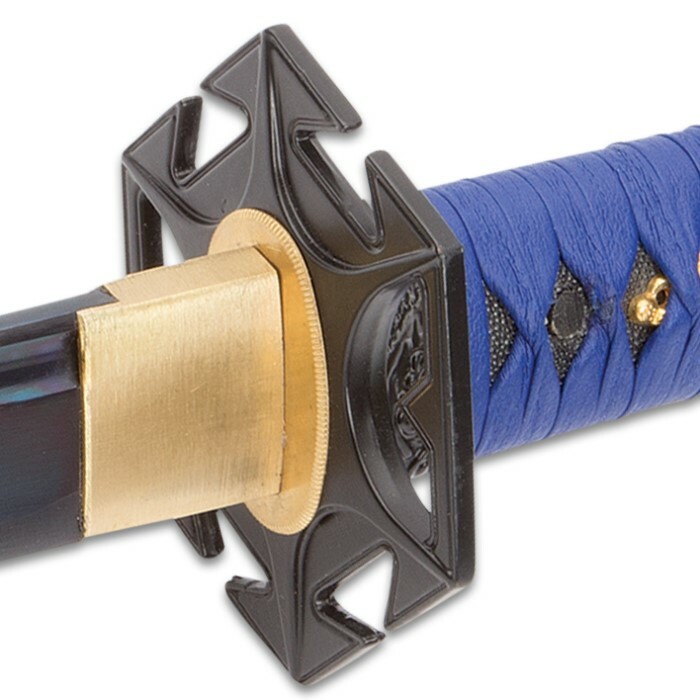 The tsuka terminates at the exquisitely patterned black metal tsuba and polished brass habaki. 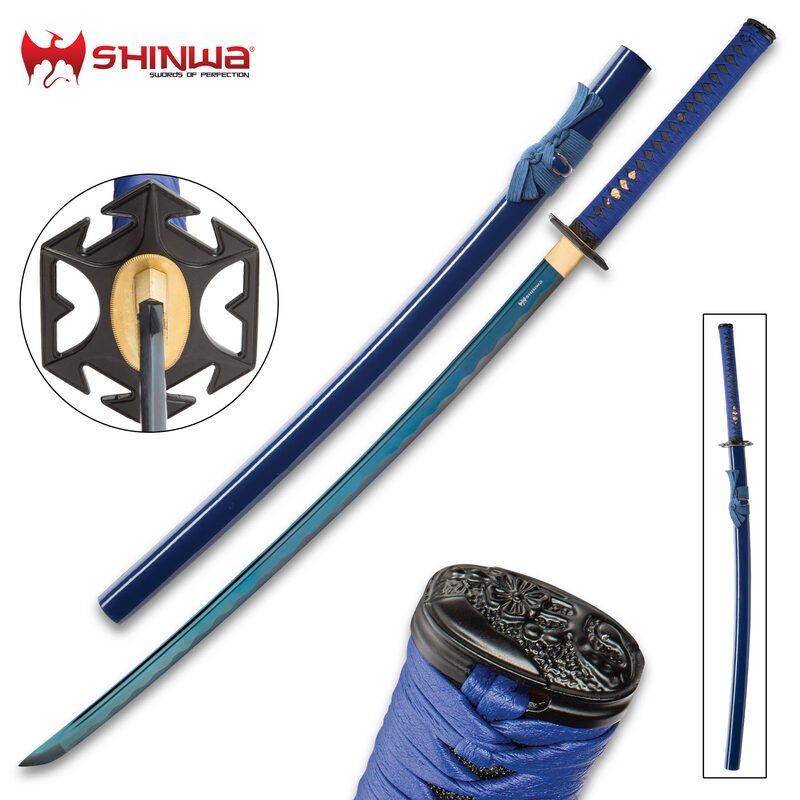 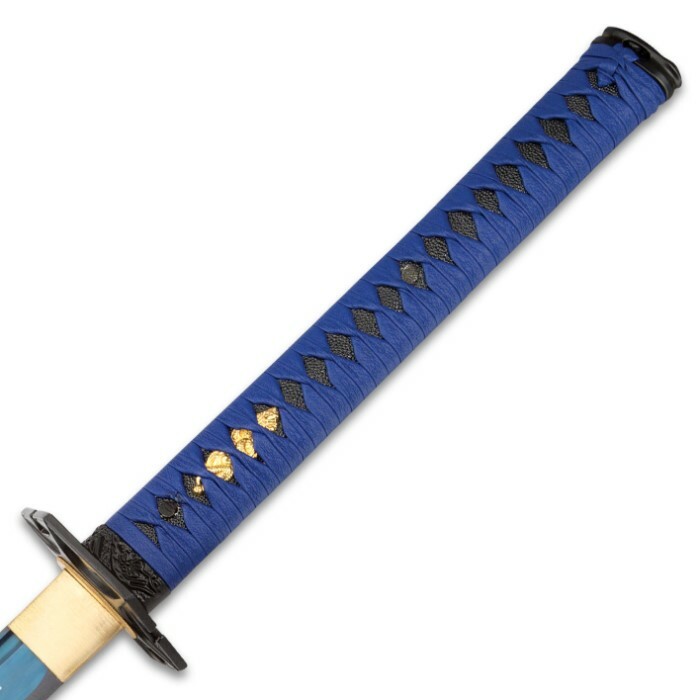 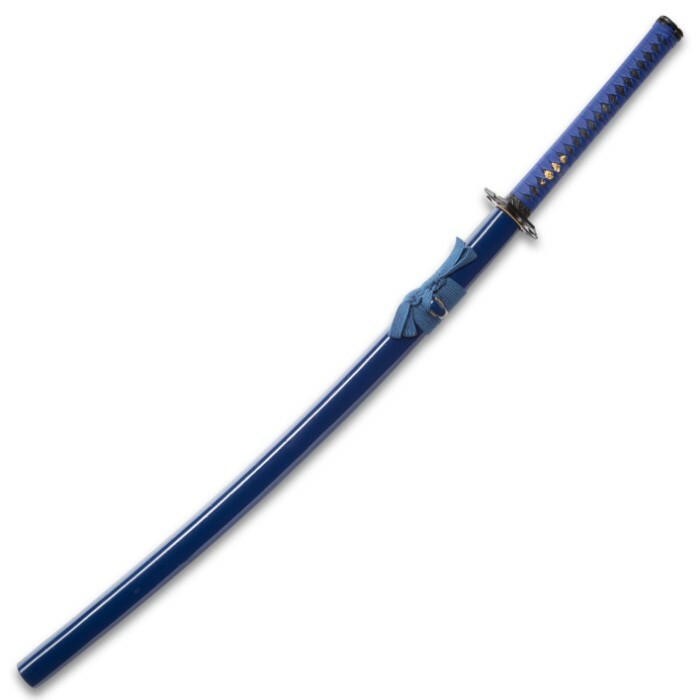 Equally potent and stylish, the gracefully curved blade is embellished with a dazzling blue wave-patterned hamon and traditional blood groove. 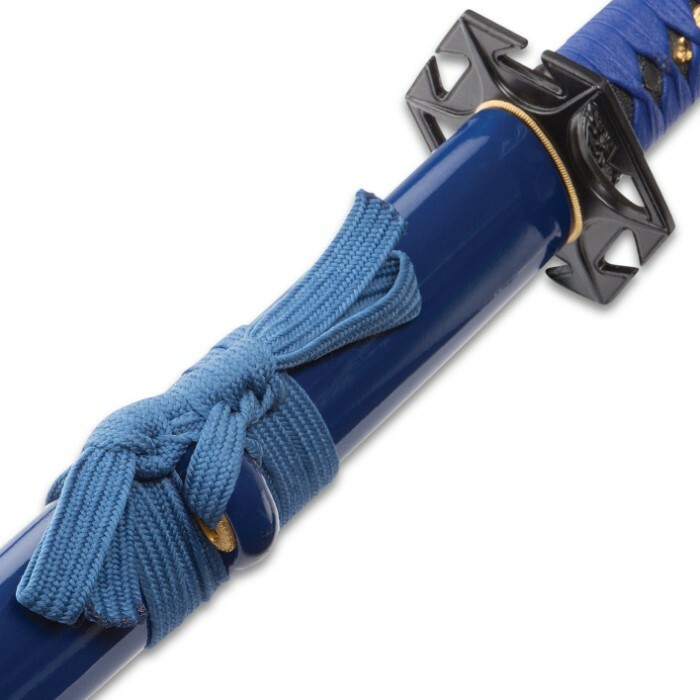 The included blue lacquered wooden saya is polished to high shine and decked out with blue sageo.